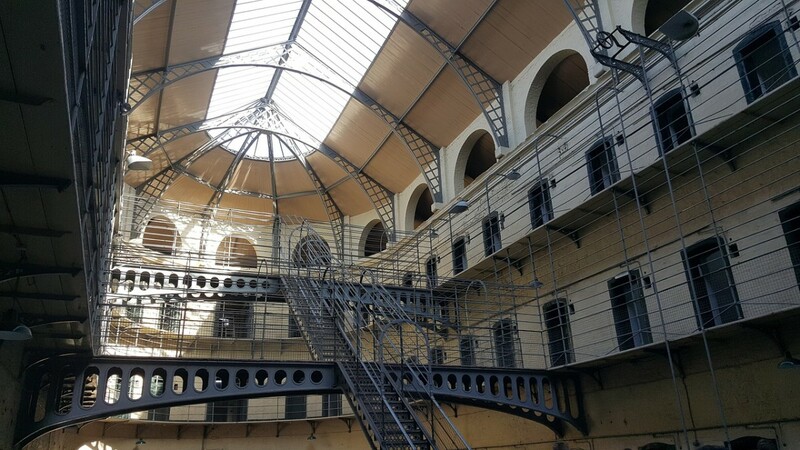 I have written more hubs here on Hub Pages about Ireland and I think It´s time for me to write about the small town I was living and working in for two and a half years. 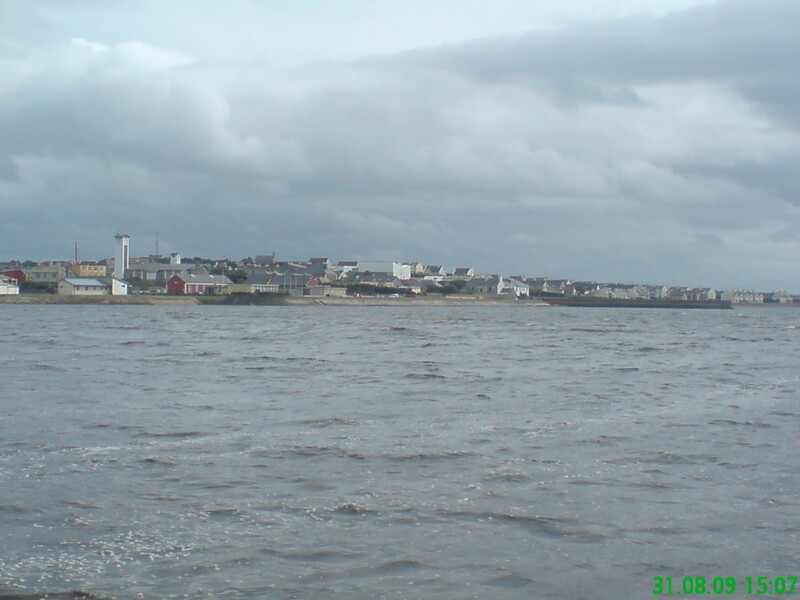 Belmullet, the capital of Erris Peninsula is located in County Mayo. Its Gaelic name is Bèal An Mhuirthead, means "mouth of the mullet" (Source: Wikipedia). It has two bays, Broadhaven Bay and Blacksod Bay. It is the commercial center of Erris Peninsula where the shops like Brogan Spar, Centra, bakeries, hairdressers, cafes, guest houses, bed and breakfasts, restaurants and pubs are located. There is a Broadhaven Bay Hotel and Leisure Center overlooking the amazing view of Broadhaven Bay. Broadhaven Bay Hotel offers a lot of recreation you can enjoy like scenic boat trips, fishing, walking, hiking, golfing and many others. You can go swimming at the Leisure Center and make yourself fit by using their different kinds of sports facilities or indulging yourself to a very relaxing full body massage or a facial at Spa Elysium with their friendly and qualified beauticians and masseuses. Or you can go to Milano hairdresser next door for having your hair done. Belmullet´s main street has I think 5 Pubs, An Cheibh or The Anchor, Mc Donnells, Western Strands Hotel Pub, The Corner House Pub and Lavelle´s Pub. I can say that it has 5 pubs (or was it 6?) for I have visited them on one night after my dinner with my workmates at the Chinese restaurant. I enjoyed my night with the girls for I was experiencing an Irish night out. A wonderful and awesome night out. Thank you girls! I´ll never forget that experience. An Cheibh is an award-winning pub and seafood restaurant. They have the most delicious seafood meal that I have eaten in Co. Mayo. Like many other pubs, there are plenty of traditional kinds of music and many events going on on weekends and especially on Bank Holiday Weekends. 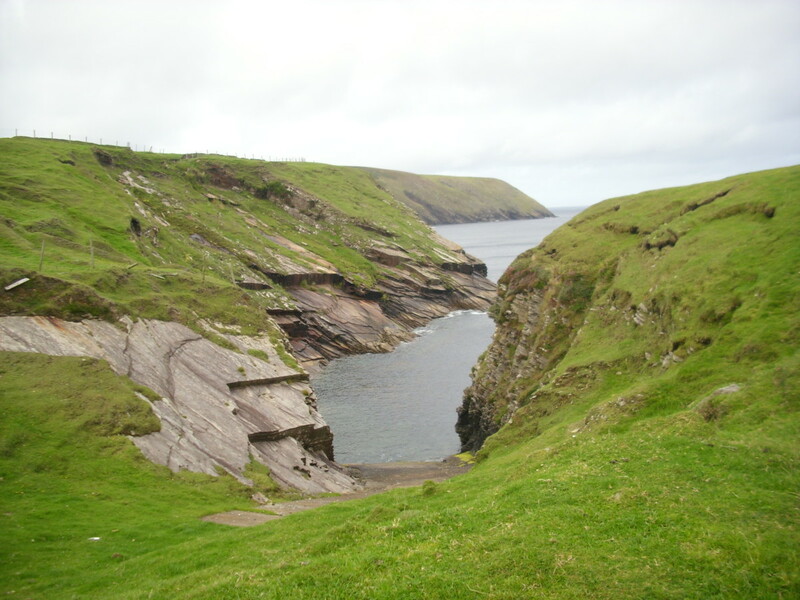 Erris Head is a cliff in the Atlantic Ocean on the Mullet Peninsula. 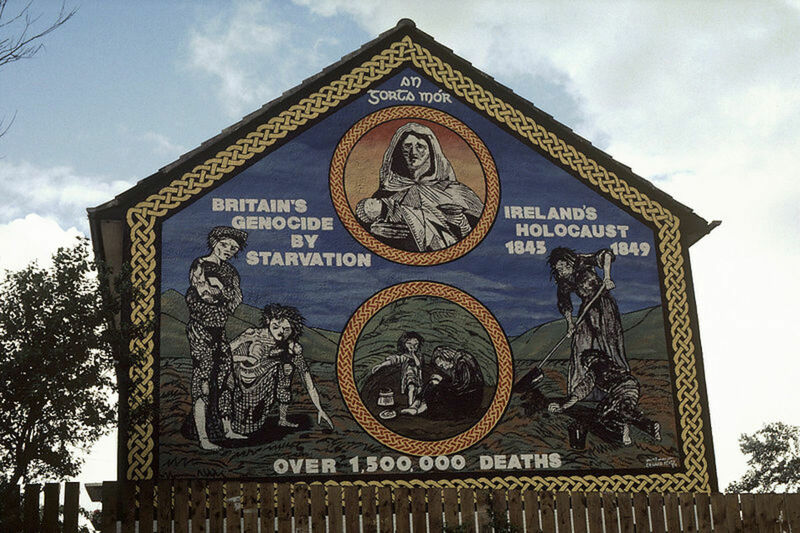 It is in the Gaeltacht area were Gaelic language is still spoken by the local people. It is in the remote countryside where the landscape is so amazing and breathtaking and not spoiled yet. There is an organized walking loop and if you want to be alone, just follow the path where you can walk for yourself. When my husband and I with our guest were in Erris Head, there were three men fishing. So you can go fishing as well. We just sat there with Angus while enjoying the view of the surroundings. Sheeps were in there, pasturing. 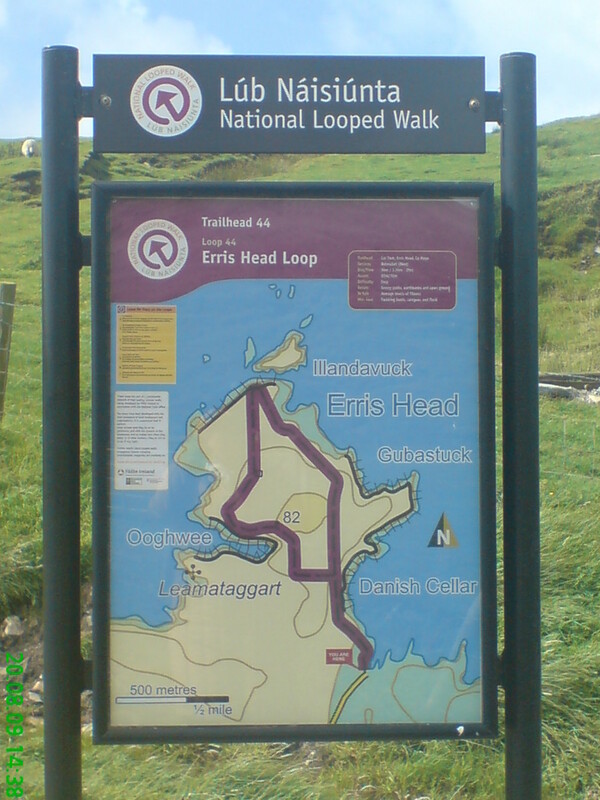 Eagle Island is a small island that can be seen from Erris Head. One can take a boat trip around that island. 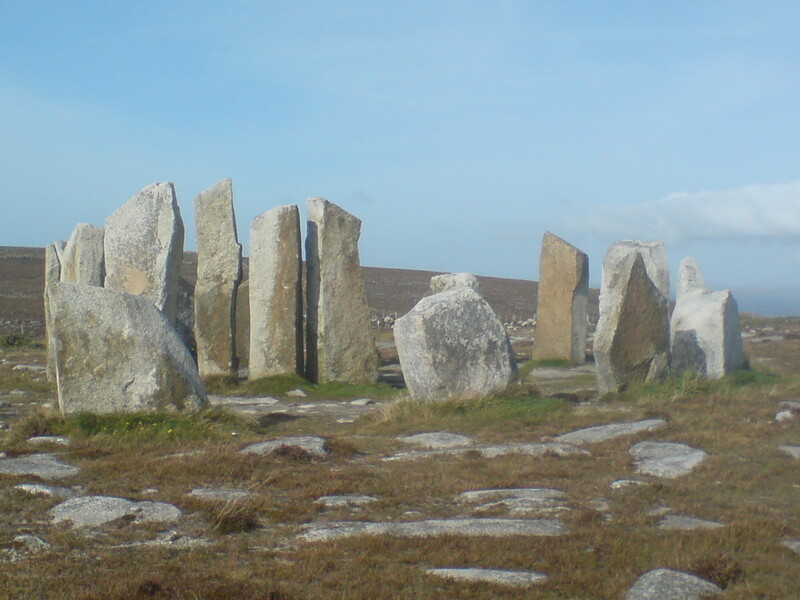 Standing Stones is a few kilometers from Belmullet town. It is at the Atlantic Ocean and facing towards the Achill mountains. The view was awesome but the breeze of the wind was getting cold that we did not stay for long. 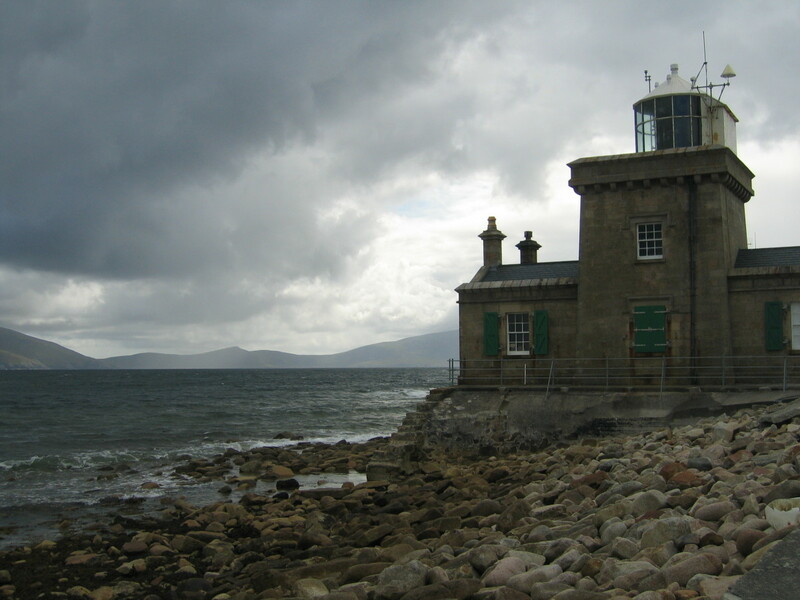 Blacksod Lighthouse is not very far from the Standing Stones. It is overlooking the Atlantic Ocean. When we were there, the weather was very changeable. At first, the sun was shining that I felt the warmth on my skin. Then suddenly it was getting dark and cloudy and the color of the ocean water was no longer blue but dark. As it happened, it rained afterward. I really never knew how many times the sun shined that day. 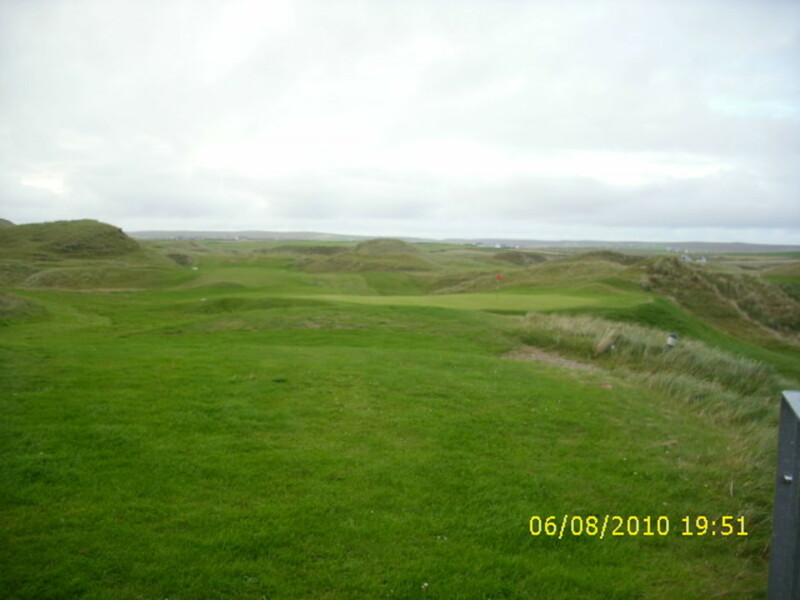 Carne Golf links is a few minutes from Belmullet town. It is a paradise for golfers with its 18 hole golf links course and it has terrific dunes and views over the Atlantic Ocean. It has it´s own restaurant and pub. The food is delicious and the meal served is huge that there´s no more place for a dessert to eat and the price was not costly. 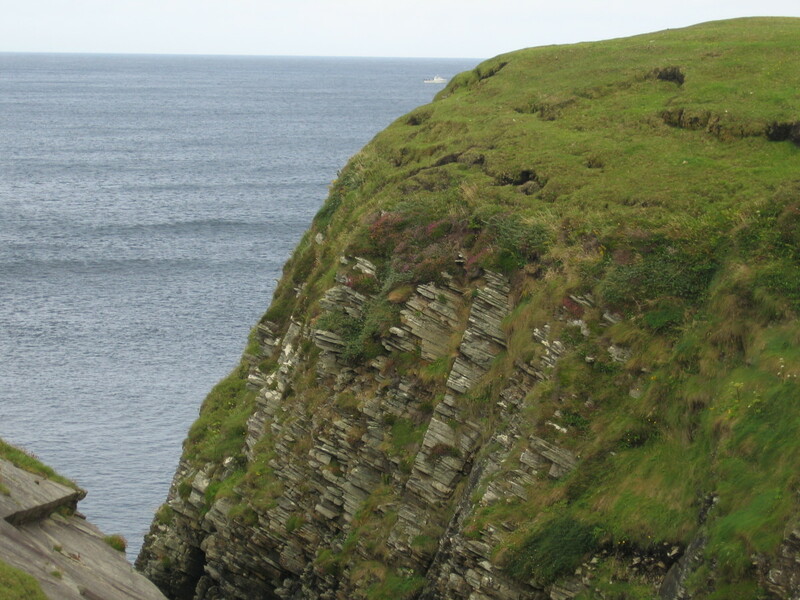 Annagh Head is located on the west side of the Mullet Peninsula. There are lots of big and small old rocks which are more than a million years old. 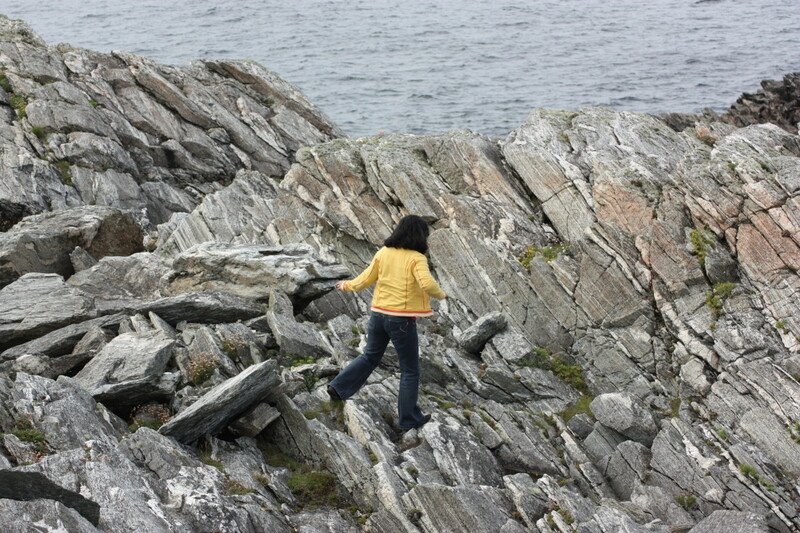 The rocky cliffs were so awesome that I had to walk over different sizes of rocks to find a place for me to stand or sit for a while and smell the salty air of the Atlantic Ocean. Angus, who was with us was so fascinated by the view for he was running free around without a leash. Sightseeing in and around Belmullet. Fishing at Erris Head or fishing while on a boat trip. 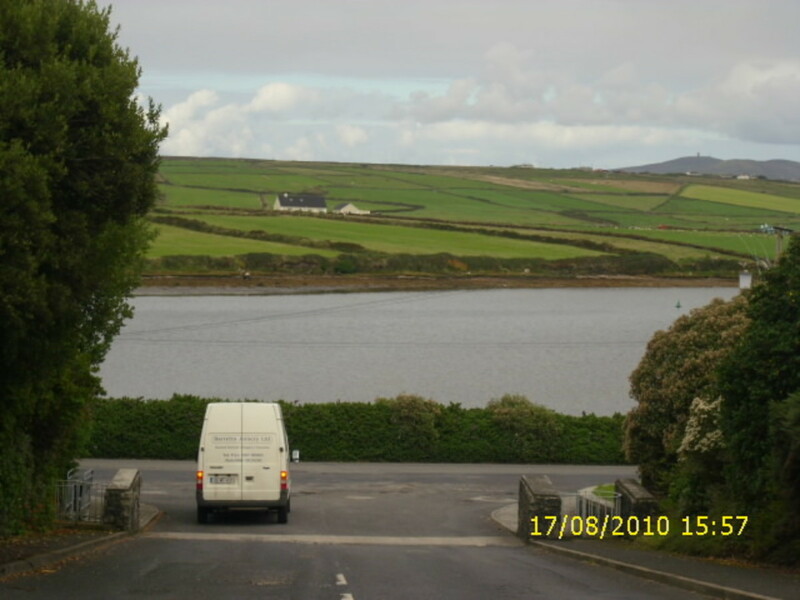 Strolling or walking at the beautiful scenic view in and nearby Belmullet. Enjoying the Irish atmosphere of drinking and having fun. Having dinner at some cozy restaurants in town. Having a spa treatment like massage, facial, manicure or pedicure. Swimming indoor at Broadhaven Bay hotel. Tip: Bring a raincoat and a warm jacket with you in case you need it as the weather is very changeable in Ireland. To all the readers, please feel free to leave any comments about this article so I will know if I have missed to mention something and if you want to know more about any other lovely places near Belmullet. Your comments are highly appreciated. Thank you. Yes, it is a beautiful place to stay Megha. I love Belmullet and I hope I can go back there one day. Thanks for your visit and for your nice comment. Hi Jeff Tuni. Wow! That´s great. I agree with you. Lovely town and lovely people. Thanks for dropping by. It is indeed a lovely place to be Chitrangada Sharan. Quiet and really good to relax and meditate. Thanks for your visit. Have a lovely week. This looks like a lovely place to be Thelma! Amazing landscapes and quite appropriate for meditation and hikes. The picture of standing stones looks amazing. Thanks for sharing the beautiful pictures and the other significant details! Yes, it´s a lovely place to be in. I did have a great time living and working there. Thanks for your vote and for sharing this hub to others. Have a great week! Belmullet is a lovely place to be in. I am sure you had a great time there. Lovely pictures. Voted up and beautiful and shared. Yes, this is a beautiful place RTalloni. Lots of amazing landscape nearby. For me, the whole Ireland is awesome. Thanks for stopping by and have a great weekend. Thank you for sharing your time at Belmullet with us. 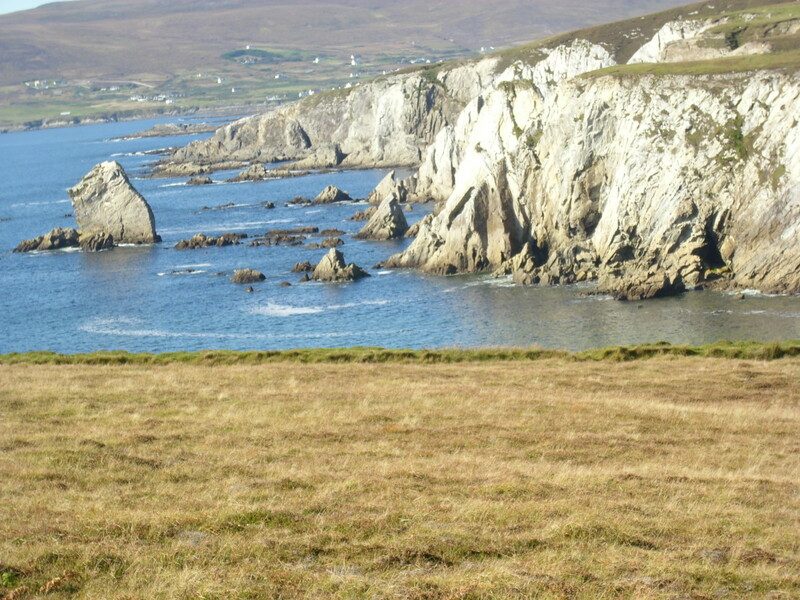 Your photos of Erris Head and Standing Stones are particularly striking. What a beautiful place this must be! Hi Linda! Thanks for your wonderful comment. I could say from your profile photo that you have an Irish blood. It is great to have a Celtic ancestor. Thanks for your stopping by. Take care. Hi Peter! Thanks for your stopping by. What about looking a job in Ireland through internet? I am sure it will help you. Good luck!!! You are welcome Enlydia Listener. I´m glad you have enjoyed reading my hub. Thanks for stopping by. 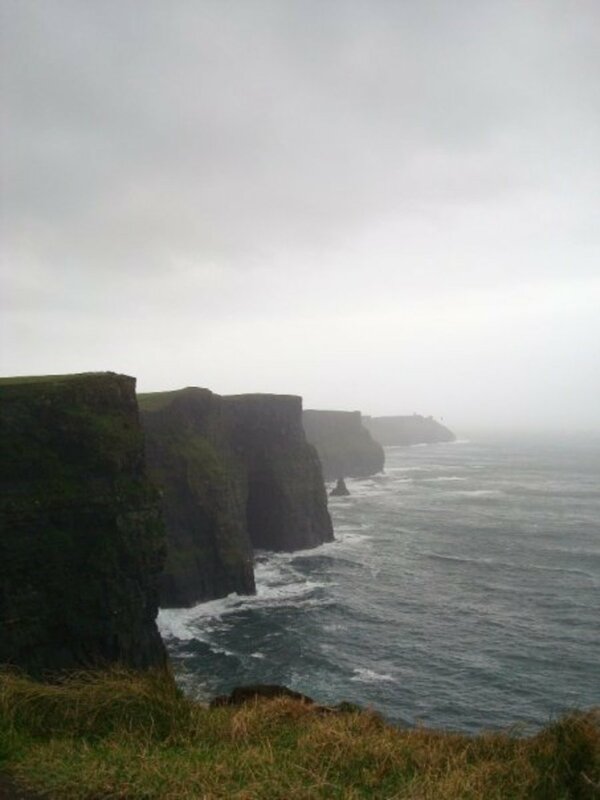 Thankyou for sharing...I enjoyed the pictures...would love to go to Ireland someday. You are welcome James! Yes, Belmullet is a fascinating place to visit. 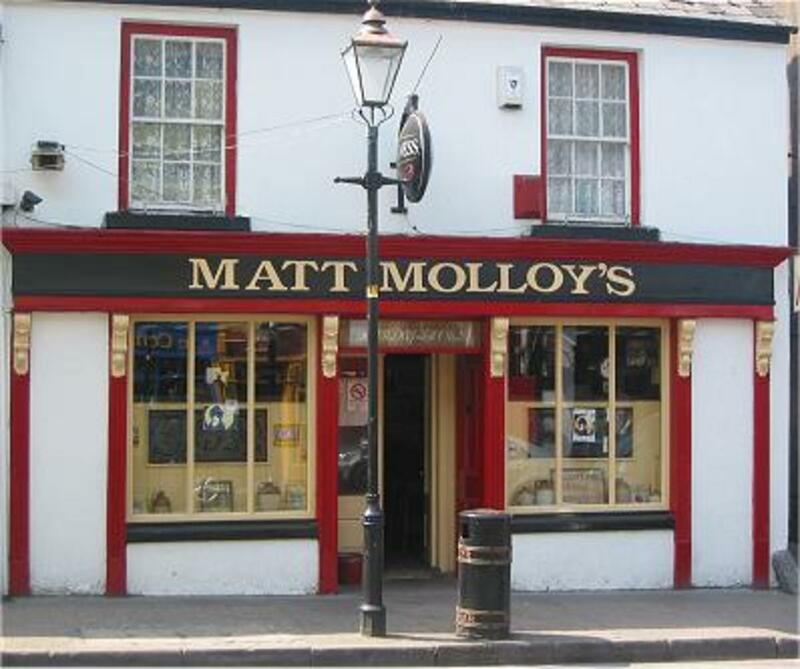 There are lots of beautiful places to visit not only in County Mayo but the whole Ireland, so bring time with you. Thanks for stopping by. Thank you for posting these lovely photographs of County Mayo. I enjoyed the journey with you. 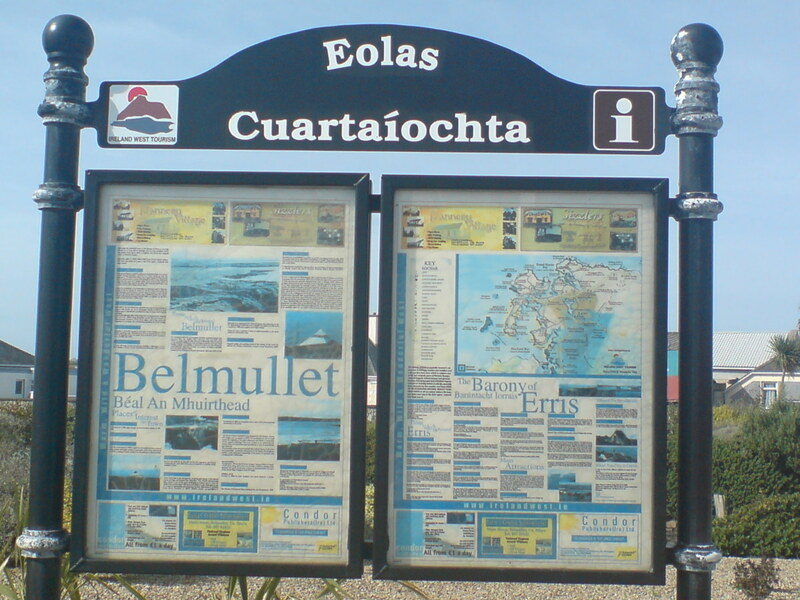 Belmullet is a fascinating place that I would love to visit someday. You´re welcome Peggy. It is a spectacular site for hiking, meditating or just by sitting there and enjoy the beauty of the nature. Thanks for your wonderful comment and for following me. Take care. Thanks for sharing this wonderful site with us via your words and photos. It looks like a spectacular site to do some hiking and meditating. Voted up, useful and beautiful. Thank you Eiddwen for reading and giving a great comment.I appreciate it very much for I know how good you are in writing. Thanks again. What a great hub Thelma and definitly one to bookmark. The pictures added to the beauty in your words. I vote this one up and up. Your welcome RedElf. Yes, you "must" someday. The places are really lovely. Thanks for stopping by and your giving a comment. I've just added another place to my "must visit someday" list - thanks so much!